Looks like these interviews are from the same roundtable interview as The Manila Bulletin, Telegraph UK, The Philippine Dailyand Star Online, but with some new quotes. We used Google translate in both interviews in this post and the answers that had almost the same quote as one posted before, we chose the quote from one of the interviews posted in English and not translated. The others that have (Google translate) are the ones that had something new in the answer. - What have you learned since the end of the saga "Twilight"? - And how can you face the madness of the public against your person? - Why did you choose a genre so different? - Where do you live now? - You're not living in your mansion? 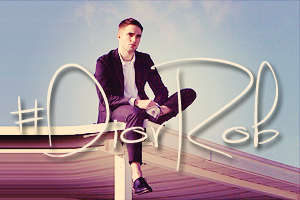 -I read that you were very nervous when I auditioned for "The Rover". How do you handle anxiety? 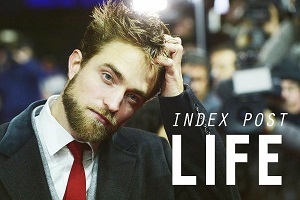 -After filming such a dark and apocalyptic as "The Rover" movie, do you plan to have children one day? - Are you really not afraid of global warming and its consequences? -When you choose a movie, what you want in the story? 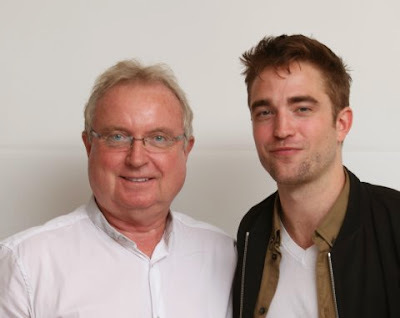 - How did it feel filming "The Rover" in Australia? - What did you like best? - What is the worst thing that happened to you with the paparazzi? - How do you deal with fame? - Did you always want to act? - How you glimpse your future career? - What do you think of David Cronenberg? - Can you describe your role? - Will you be the new Indiana Jones? - Do you consider yourself a happy and lucky man? -If this was the last day of your life, what would you do? I was homeless for six months after the sale (of his house). I borrowed houses from people when they were not in the city. Now I've found a home in the Hollywood Hills that I rent. It's not too big. I barely have furniture. Some of them are from the previous tenant. The only thing I brought with me, are air mattresses. In which I sleep. You have earned millions and can afford expensive equipment. I'm not materialistic. The only thing I treat myself, are old guitars. I have 17 in my collection. My showpiece is a 1943 Gibson J100 acoustic guitar. I don't care about other things such as designer clothes. However, I should go out to buy clothes. I can not find most of them. That's why I wear the jacket I'm wearing, continuously for the past two weeks. My stuff should be in a box in a rental warehouse in Los Angeles or in my London apartment. I rather think the latter. I've just seen pictures of my old roommate Tom Sturridge, running around in my pants and shirt ... (laughs). 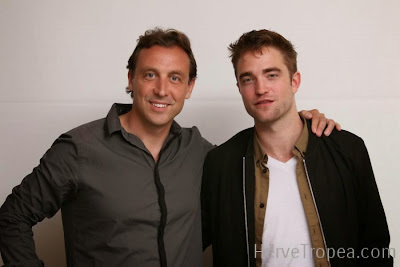 Thank You for this nice interview,as usual Rob looks yummy!